A new academic paper on biofuels was released this week, and some media outlets have reached sweeping conclusions. A careful reading of the paper, however, doesn't in any way support these conclusions. The Canadian government has announced plans improve rail safety, including the phase out certain railcars used to carry ethanol and crude oil over a three year period. Some DOT-111 railcars are being removed from dangerous goods service immediately. 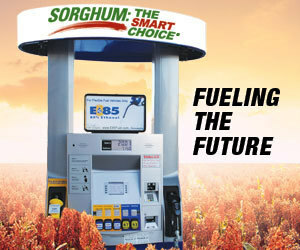 The Fuels American coalition recently released an economic impact study that demonstrates the economic benefits of ethanol and other biofuels on a state-by-state basis. The analysis was completed by John Dunham & Associates. Renewable Fuel Association President and CEO Bob Dinneen gave a presentation at a rail safety forum hosted by the National Transportation Safety Board on April 23. The month prior to Easter was pretty quiet and the weather is just now abating enough to have folks thinking about planting in the near future in the Midwest. The focus for DDGS prices is still on logistics and slow rail movement. The corn market has been on a bullish run since the January report. The carryout has continued to decline, as export demand continues to increase. Three enzymes that promise to improve profits for producers of corn ethanol are behind the strong growth in Novozymes' first quarter bioenergy sales, including Avantec, Spirizyme Achieve and Olexa. The U.S. EPA has opened a comment period on draft permits for Archer Daniels Midland Co.'s carbon capture and storage project in Dacatur, Ill. The project aims to inject and sequester carbon dioxide produced at ADM's Decatur ethanol plant. Two USDA economists took up the U.S. EPA's request for comments on whether and how to account for carryover renewable identification numbers (RINS) in setting yearly mandated renewable fuel volumes. Vireol Bio Energy LLC has selected Murex LLC as its marketing partner for the bioethanol plant in Hopewell, Va. Vireol recently announced their plans to bring the 63 million gallon per year ethanol plant in Hopewell online in April of 2014. Growth Energy has welcomed Three Rivers Energy LLC as its newest member, bringing total plant membership to 83, with another 85 associate members. Three Rivers Energy is a 50 MMgy plant located in Coshocton, Ohio. The Nebraska Corn Board, in cooperation with the National Corn Growers Association, is joining NASCAR in kicking off its second year of the NASCAR Race to Green Campaign, which highlights green programs put in place by NASCAR and its partners.